1.The new interactive mode gives you an unique and convenient way of using browser. 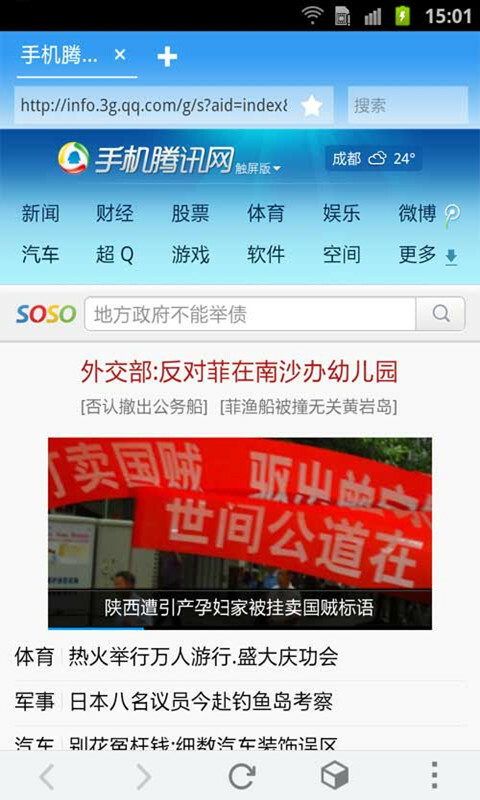 2.Optimize the page cache, go back without delay; flip to go back and forward, enhancing the browsing experience. 3.Optimize the page layout and font size. 4.Intelligent pre-loaded function, enjoy compelling content without waiting. 5.Optimized of the night mode, more comfortable to use at night, add another skin for night mode. 6.Support for photo uploads, share wonderful moments with friends. 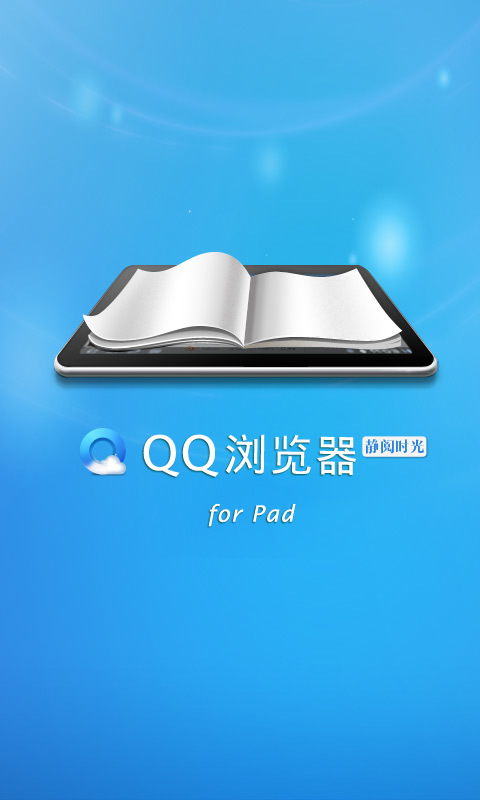 Tencent QQ browser (Android pad) is a version of software for Android platform customized for pad users. It supports WAP and WWW page views . Beautiful and simple management interface, switch animation, multi-window background running and unique four-frame display in a single page make you enjoy the perfect new mobile Internet experience. does not work well under English systems, should not be there while the Chinese input keyboard is still on the way.